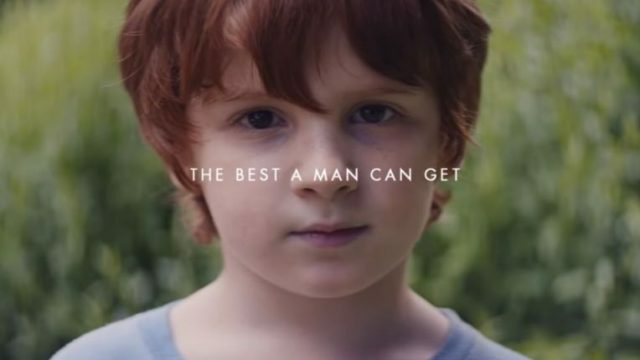 With the Gillette ad firmly in the zeitgeist, it’s best that we register the response we had to it, and whether we learned anything. The great Cahill conspiracy: Was he picked on the basis of marketing? Today, Caltex trumpeted a World Cup marketing push honouring Tim Cahill. With the preliminary squad also announced today, some believe the team should be picked on form, not market value. The countrywide push for diversity is upon is. However, it is not always a benefit, and that is bleedingly obvious in the ad space. We should operate on merit, not quota. Win More Clients is a marketing agency with a difference. To explain how they afford their clients more brand freedom, we sat down with their CEO, Tim Hyde. To understand the data-heavy marketing landscape, you need to know what to look for. Consider our partners at ADMA the path to gaining that knowledge. TrinityP3: Can the real thought-leader please stand up? In the information age, we’re often crippled by a lack of credibility. What we need is a leader to steer us to the more reputable sources. TrinityP3 is exactly that. The problem with growing your business in the information age is staying up to date. ADMA’s Data Day 2018 is an event built on only the most contemporary of expertise. Sadly, pre-ordering has now become a fixture of the gaming experience. Call me a traditionalist, but I’d prefer a less buggy game over superfluous tat we don’t really need. As the digital landscape shifts so quickly, only a fool would think they know enough. Thanks to our partners at ADMA, school doesn’t have to be out. The concept of stopping your education as soon as you climb the managerial tree is long dead. The abiding truth about the digital age is that school is never out. As digital becomes a crucial method of business growth, one must ask themselves if they’re getting the optimal performance out of their existing strategies. Consider our partners at TrinityP3 as those in the know. Content Marketing: Are you wasting your resources? Brands are investing more money into content marketing every quarter, but how many brands are measuring effectively the ROI of these activities and truly getting enough out of their strategy? Every Friday, The Big Smoke looks at industry news curated by MediaScope. This week we look at the most competitive digital countries, the rise of boutique agencies and what defines a quality marketing team. Marketers are facing an increasingly complex market. Our partners at TrinityP3 have a roadmap that addresses these challenges, from strategy development to stockholder engagement. Before the 2017 Global Forum descends onto the streets of Sydney, we sat down with the brightest minds that the conference features to give you a peek into the minds to set the pace in the world of business. With the evolution of technology, the world of marketing is becoming a more nuanced place. Consider our partners at TrinityP3 your learned guides through the e-maze. Every Friday, The Big Smoke looks at industry news curated by MediaScope. This week we look at the coming ad war, how AI turned hype into results and the equation to make the sale. The digital measures of successful management are forever changing, and it behoves those who lead to stay ahead of the pack. Thanks to our partners at ADMA, school is never out. Every Friday, The Big Smoke looks at industry news curated by MediaScope. This week we look at how big clients are shaking up the marketing Industry, the concern about ad-spend and the habits of the world’s busiest people. Every Friday, The Big Smoke looks at industry news curated by MediaScope. This week, we look at the age of accountability, the AI awakening and ponder if it’s time to break up Google. Now that Airbnb and Uber have firmly established themselves, their marketers are looking at ways to ensure they’re taken seriously.